Have you ever wanted to travel someplace but been overwhelmed by the prospect of planning your trip? Or are you the person who feels you must have every minute of your trip planned or you will miss something or perhaps, be arrested and spend the rest of your days in a foreign prison making friends with rats? Well then, this site is for you. Drop Me Anywhere is a partnership between you and me. I know what you’re thinking, ‘I don’t recall entering a partnership. Was I drunk?’ Well, you may well have been (I’m not one to judge), but this partnership is non-binding (yes, I have a fear of commitment too), and my hope is that it’s a partnership that you’ll come to love – like Batman and Robin (you can be Batman if you have the really cool car). Although we will not be saving Gotham City, we will be doing some pretty exciting things. So what is it exactly? 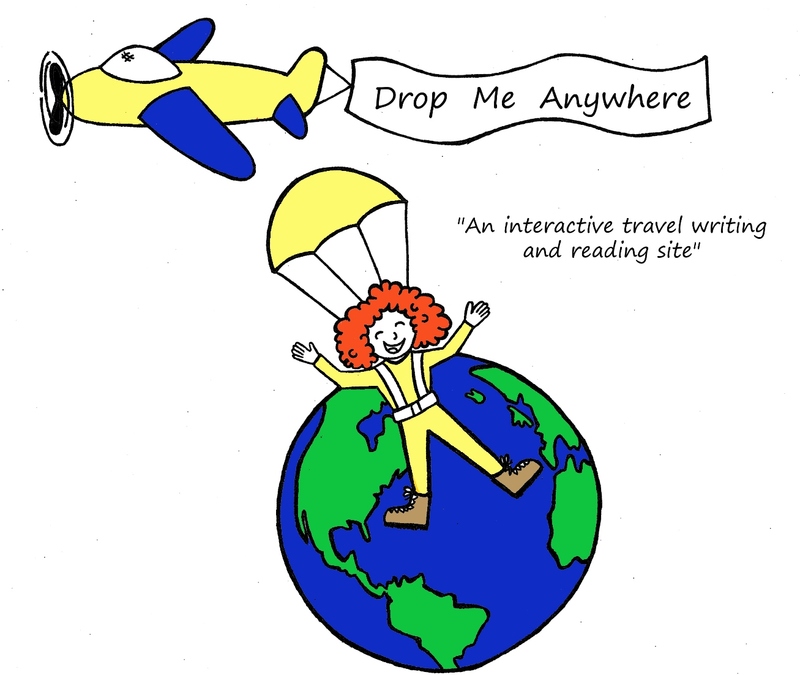 It’s the first interactive travel writing/reading site. You, my loyal readers vote on where to send me without a plan. In most cases, I depart for the destination within two weeks. I’ll report to you on the adventure as well as providing you with links to lodging, activities and other vendors which I use. I’ll also include the prices of different aspects of the trip so that, even if you travel without a plan, you can get an idea of what your budget should be. There are a couple other unusual aspects to this site. First, is the philanthropic part. On each trip I commit to volunteering for a day, or part of a day with an organization working in the area in which I’m traveling. I will then share their story with you, how they help, and how you can get involved at www.Rebel-With-A-Cause.org. The other part that’s slightly different than some other travel websites is that I actual travel. There are no Top Ten Lists here; no How to’s. This is story-telling at its best. Sometimes funny, sometimes touching, and usually informative. Oh, and since, in December of 2014, I rented out my house and sold my car, furniture and most of my clothes to finance this project and write a memoir from it, I’m in constant motion, traveling to the places you decide on. If you’re a literary agent, publishing company, or you want to back this project, well, I’m just a girl who can’t say no (it sometimes gets me into trouble). If you’re an airline, travel website or sugar-daddy, drop me a line. In the meantime, please return your seat-backs and tray tables to an upright position and stow your carry-on luggage. Don’t turn off your electronic devices because you still have to click on “Vote” and tell me where to go (insert your own joke here). 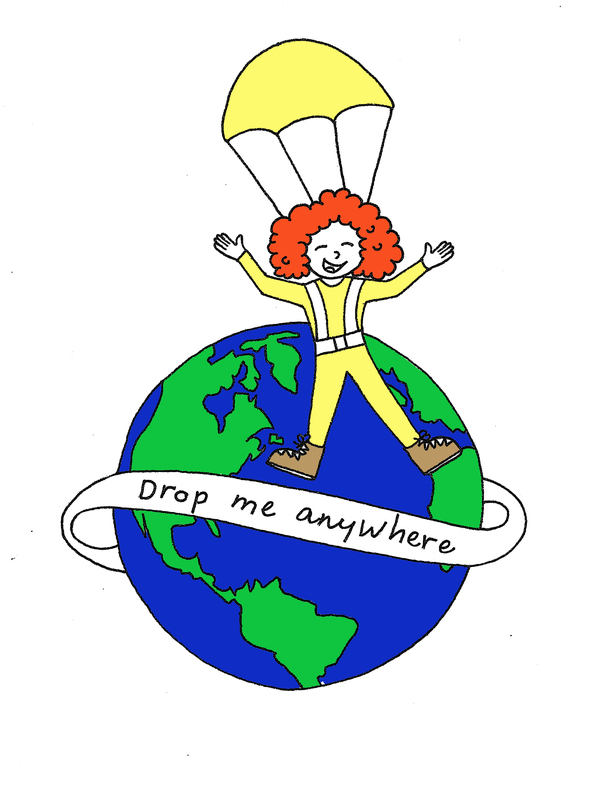 Welcome to Drop Me Anywhere!